A company of Maldives exporting fish catch to US, China and Japan using Sri Lanka as base and its export system of fishery product to those countries as Sri Lankan products.. 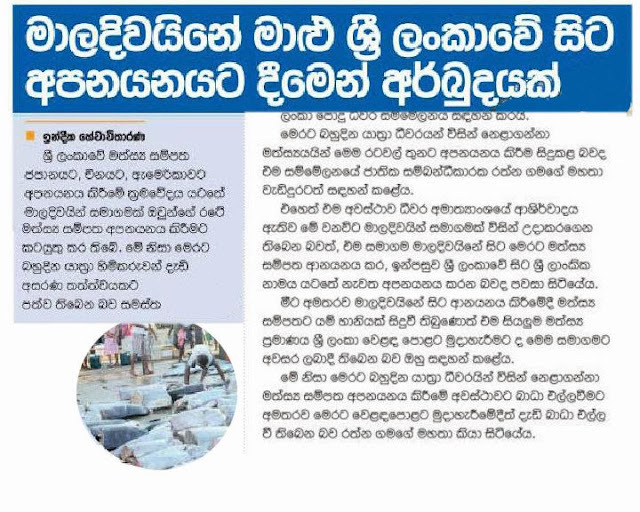 This deal has created difficult situation to the Sri Lankan malty day fish craft owners. Sri Lankan authorities have given permission to the company to release export rejects, which are damaged during importing to Sri Lanka from Maldives.